Our Layering System is a guide on how to layer up and down in different weather conditions. The system can be worn in a variety of ways that suits the needs and dynamics of environmental situations you may find yourself in. Layers can be added or removed within the system to accommodate the temperature range you’re operating in as well as Active and Static use from -10°c and above. Knowing your environment and activity is key when determining your layering system. Taking into consideration your activity and if the weather conditions are likely to be consistent is as important. In Great Britain our weather susceptible to dramatic shifts in forecast and temperature. Serious factors that should be considered when determining a temperature range are weather changes and your activity throughout the day, elevation gain, wind chill factor, wet and general moisture in the air. 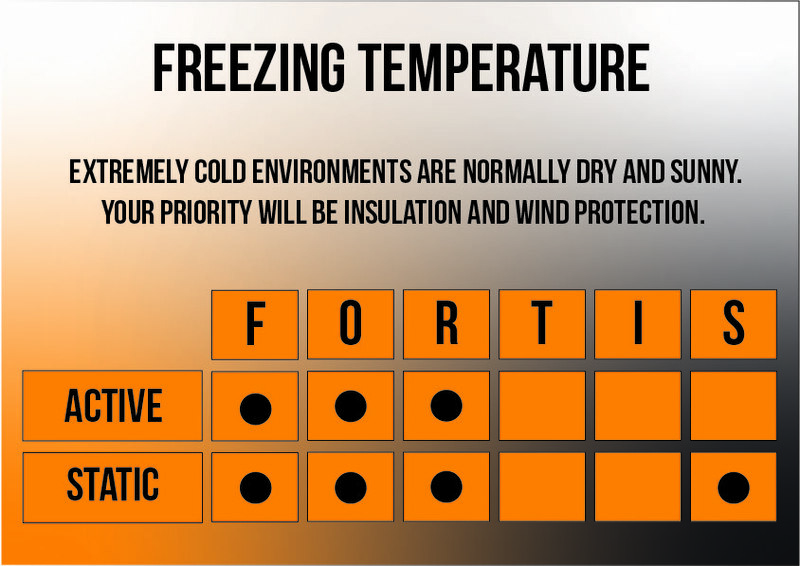 The four temperature ranges that we’ve based the Fortis®Layering System on are as follows: -10° – 0°c / 0° – 5°c / 5° – 10°c / Above 10°c. On most trips you will experience periods of high levels of heat (hiking, hunting, etc. ), as well as periods of relative inactivity (eating, watching, etc.). We generate a tremendous amount of energy and heat when we’re active. Our body naturally perspires to cool and regulate body temperature as we expel heat. When building your layering system, it’s important to choose layers that will keep you cool when you’re active (to avoid overheating) and warm and dry when you’re static (to avoid freezing). IMPORTANT: Breathability is subjective and people react and perspire in different ways, your layering will be unique to you. When we are heading out there are two moist management factors to consider. Condition/environmental (Raining, Windy, Snowing) and perspiration caused by increased activity. So how do you manage this? Well both factors need careful thought, you just think from first layer to last. Like building anything, you must start with the foundation; Base layer must work for you and be the right type of fabric and thickness. 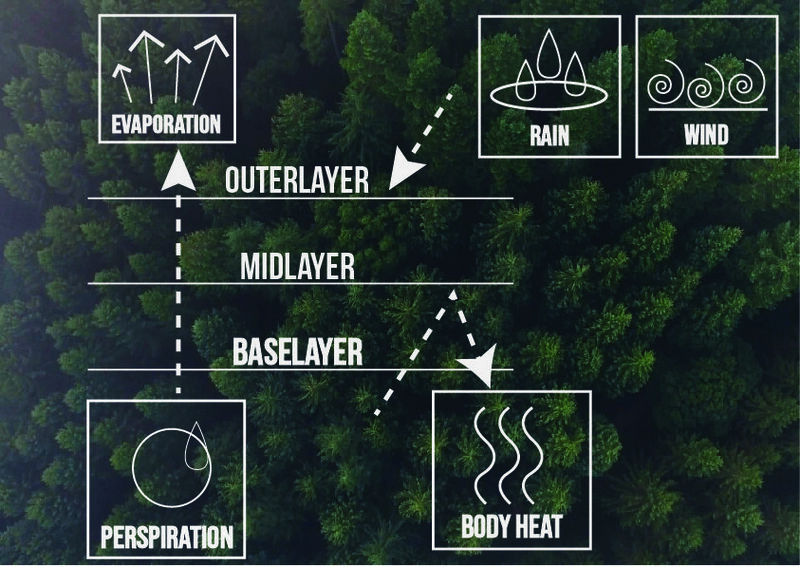 A good base layer is designed to be highly breathable and rapidly remove moisture from the body and transport it into the next layer in your system. Your second layer will be your fleece/wool sweaters and its primary function is to continue the relay of moisture and insulate the body heat. If needed you will have a further insultation layer, this sometimes will replace the second layer or not be there at all depending on the weather conditions. 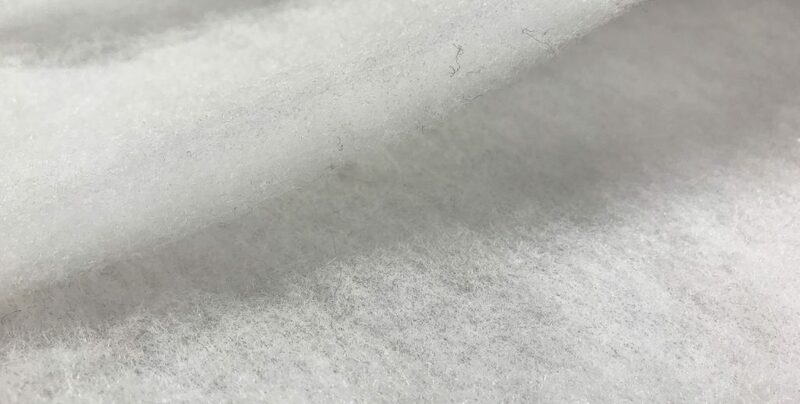 The job of the insulation layer is to regulate the body temperature and allow extreme warmth without causing over perspiration, an extra insulation layer would usually be used when static. Finally, your outer layer, or a shell. The material of your outer layer is dependent on the amount of environmental moisture that you plan to encounter as well as the temperature range of your environment. 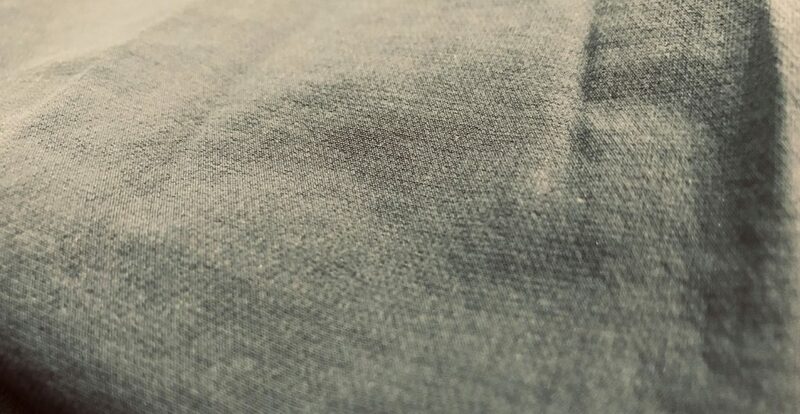 That said, the function of your outer layer is to expel perspiration back into the environment and protect against environmental moisture coming in. 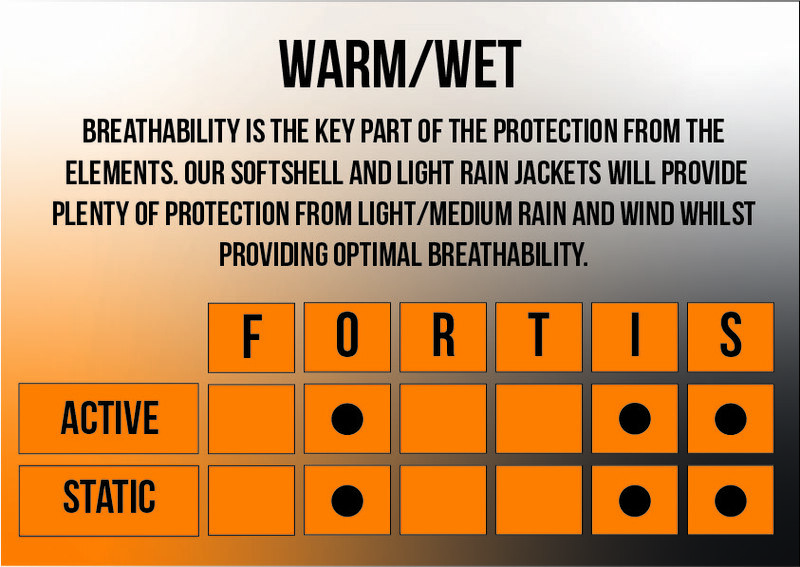 So, if is going to be very wet, softshell would not be the correct garment but the wet wear would be the best choice. If you know it will only be light/medium rain and a lot of activity the softshell is a good choice. In regards to trousers, water resistant trousers are the optimum active wear with the option of a over trousers if the weather becomes extremely wet, but the benefit with our water resistant trousers is the drying time is exceptional. Our Fortis®Alpaca Wool Base layers. Alpaca wool is a fantastic natural base layer fabric that is warm, lightweight and breathable. Alpaca base layers are also particularly effective as thermal underwear in the cool or cold conditions found when skiing or mountaineering, while thinner weights are perfect for summer activities. Both Fleece and wool fleeces at Fortis are built with purpose, our best performing fleeces are the Alpaca fleeces, which regulate and transfer moisture through the layers efficiently and effectively. Fleece layers are the most versatile of the layers and extremely key. 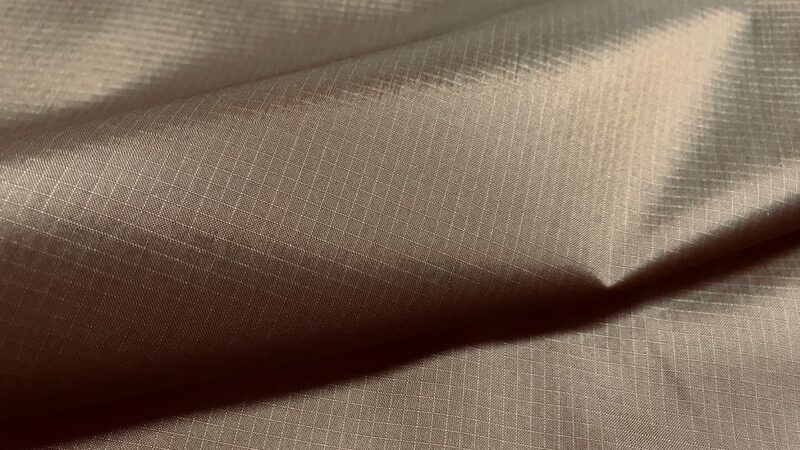 Our mid weight performance layers can be worn as insulation layers or stand along outer garments depending on the environment. These lightweight loft and fleece layers are breathable and highly wind resistant. The T products are wind layers and trousers that are designed for lightweight wind protection. They are built out of a treated nylon ripstop with a 4-way stretch arm and crotch gussets, these garments are extremely packable and offer excellent protection against light rain and snow. Our I Products are Softshell layers that are designed to protect you against wind and rain during active use. These outer layers are built out of an extremely breathable and 4-way stretch material that allows for excellent mobility and protection from the elements. 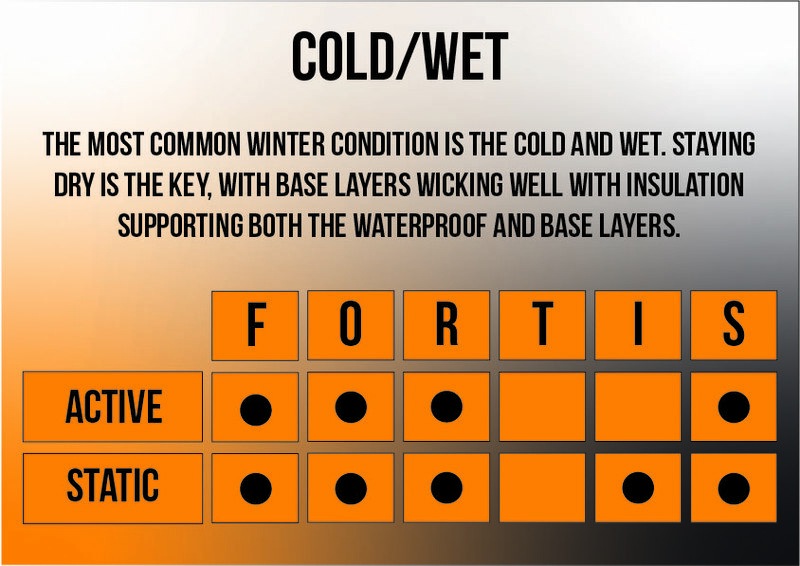 Our S layers are our Rain layers which at Fortis we are most famous for. Complete wind and water protection in static environments. These garments have fully taped waterproof seams and are built out of our 3 layer FORTECH protection. 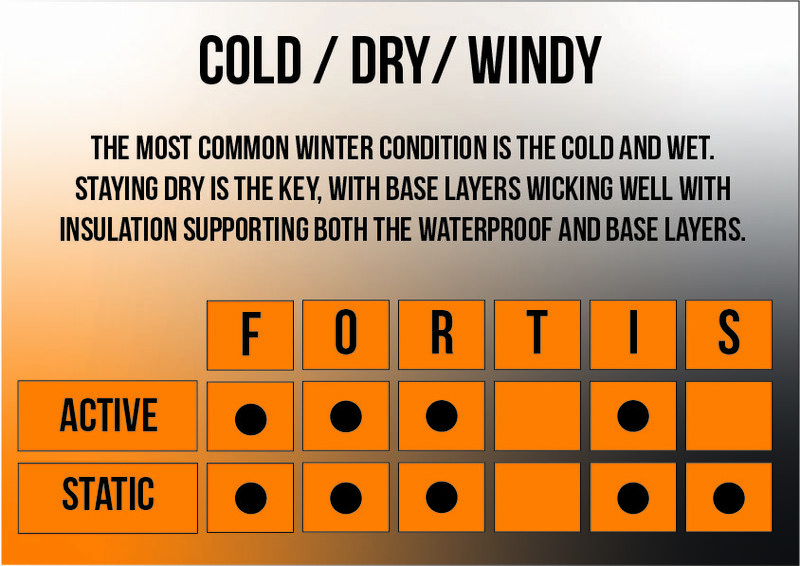 Our F layers are also extremely durable and long lasting, a trusty friend in unfriendly conditions.